Who doesn’t love spending time in their garden when the summer sun is shining? But for many, the temptation to make the most of your garden furniture and the motivation to spend time preening your plants to perfection dramatically drops as the colder weather rolls in. What’s more, 52% completely abandon their gardens and fail to do any gardening throughout winter. Almost one in ten (9%) said that they don’t care for their garden in winter because they think that their plants will die regardless, and 8% said they would just replace anything that that is damaged by the winter weather – but at what cost? Maintenance matters – more than half of the nation (52%) tend to forget to look after their gardens during the colder seasons. Gardening in the winter doesn’t have to be strenuous but taking some time to look after your green space will make all the difference. One key tip is to keep trimming away problematic branches to reduce the risk of damage that could be caused in harsher weather. Commenting on the findings, Jack Sutcliffe from Tiger Sheds said, “Understandably, it can be easy to ignore your garden in the winter, but it’s important to look after it throughout the colder months to ensure your green space bounces right back once spring comes along. One of Britain’s best loved value home and garden retailers, Wilko is looking for green fingered locals to enter the 2017 ‘Wilko Amateur Gardener Of The Year’ competition. Research suggests the UK is a secret haven of garden enthusiasts – with 88%* of UK residents rating having a nice garden as important, according to a national survey. Six lucky entrants from across the UK will be picked as category winners, shortlisted by an experienced garden judging panel, including Dominic Cole, President of The Gardens Trust and award-winning garden designer, Andrew Fisher Tomlin, before being selected by a public vote on the Wilko social media channels. The competition is open until 30 June 2017 and the winners of each category will receive a £100 Wilko gift card and trophy. One of the six finalists will be crowned overall Wilko Amateur Gardener Of The Year 2017 and receive an additional £250 Wilko gift card. To be considered, simply email an image of your garden to wilkogardener@wearebrazenpr.com including name, email address, telephone number and the category you wish to be considered for. Finalists will be informed on 21 July 2017 if they have been shortlisted for the categories. So if you think you have the expertise to be the next Wilko Amateur Gardener Of The Year 2017 – enter now. 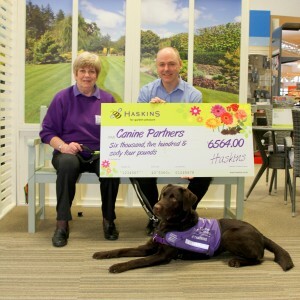 The team working at Haskins Garden Centre in Roundstone has exceeded its fundraising target to pay for charity Canine Partners to train a new puppy. Staff raised £6,564.00 for the charity over a two year period through fundraising initiatives at the centre. Canine Partners relies on public donations to assist people with physical disabilities by partnering them with assistance dogs. It costs the charity £5,000.00 to purchase a puppy and pay for training, equipment, toys, vet bills, insurance and transport. Mel Howick, customer services team leader said: “The whole team has thoroughly enjoyed raising funds for Canine Partners. We are all huge dog fans here and it was great that so many customers backed our fundraising efforts too. Jane Grant, corporate and community engagement manager for Canine Partners, said: “We are extremely grateful to Haskins Roundstone’s staff and customers for raising so much money for Canine Partners through their Wishing Well Appeal. “They have raised enough to name one of our puppies and sponsor it through its first year of training with one of our volunteer puppy parents. “We receive no government funding, so we rely on the generosity of supporters like Haskins in order to raise the money we need to continue transforming the lives of disabled people through our amazing dogs. Haskins Garden Centres are located at Ferndown in Dorset, West End in Southampton and Roundstone and Snowhill in West Sussex. ‘Donation’ – Semi-double rose-pink flowers. Upright habit. Strong growing. ‘Adolphe Audusson’ – Bright red flowers. Strong growing. 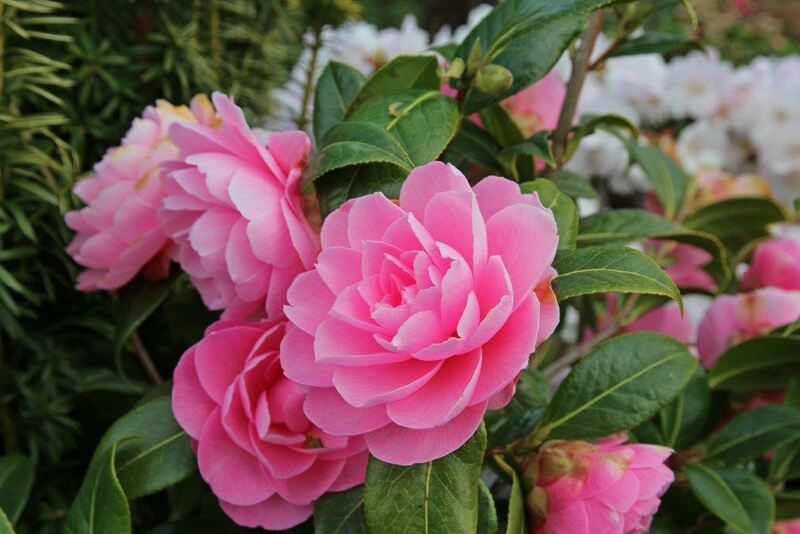 ‘Debbie’ – Peony-form pink flower. Upright. Strong growing. ‘Lavinia Maggi’ – Large double white flowers with pink stripes. Medium vigour. Visit www.the-hta.org.uk/plantofthemoment for more information and to download the media pack which features: plant information for each month including top plants, tips and companion plant ideas, high and low resolution photos, plus Point-of-Sale samples from Floramedia and Hortipak. Haskins Garden Centres has some great ideas for those wanting to get their children interested in gardening this summer. 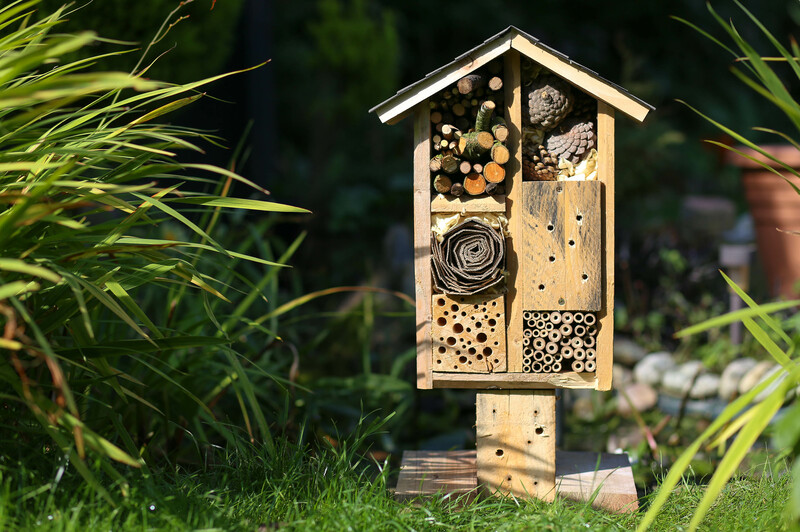 Just in time for the school holidays, Haskins has launched ‘Garden Gang’ to provide parents with free gardening projects and activities to keep outdoor busy bees entertained. There are a variety of quizzes, puzzles and games in the ‘Garden Gang’ section of Haskins’ child-friendly website. 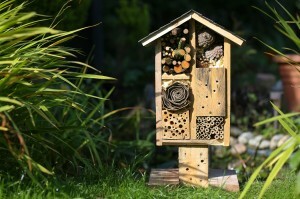 Children will love attracting bugs and bees into the garden with a simple home, made out of bamboo sticks. Bumble bees, solitary bees and ladybirds particularly like crawling into holes. Mix together seeds, nuts and crumbs with lard and place in a coconut shell, then into a freezer bag and freeze. The whole family can enjoy hanging this in the garden and watching the birds enjoy a homemade snack. 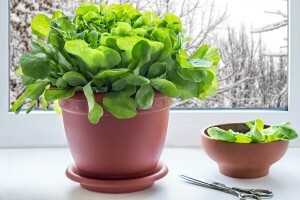 Lettuces are easy to grow through to late autumn. Fill a seed tray with soil and loosely pat down. 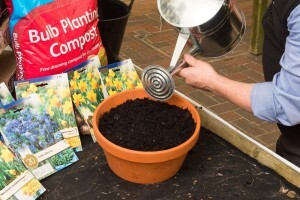 Sow lettuce seeds as directed on the packet and cover lightly with seed compost. 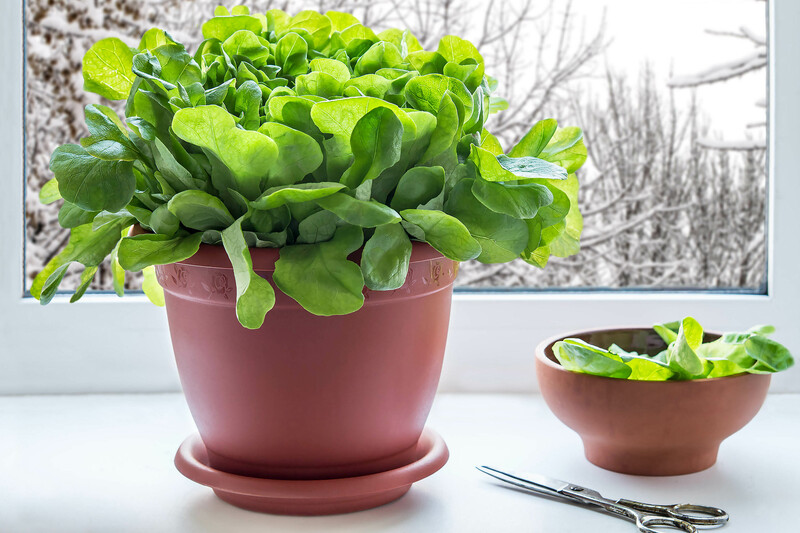 Spray the tray lightly with water and cover with a lid or plastic bag, then place the tray on a warm window sill. The first shoot should appear within 1-3 weeks. Haskins Garden Centres has released its latest summer gardening trends including everything from vivid displays to relaxed gardens, and small trees to traditional roses. Plants such as echeveria or sempervivum are low cost and have strong architectural shapes which suit rustic or unusual bowls. 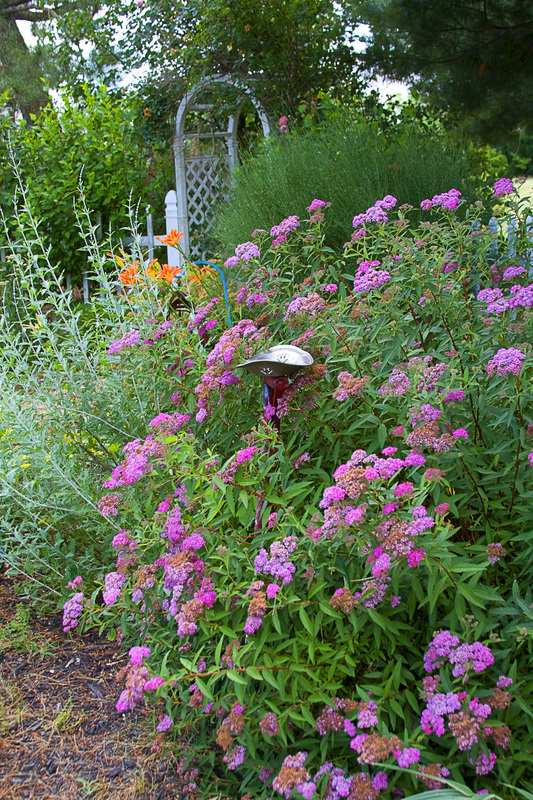 These types of plants also require little care as they store water in their leaves, so are low maintenance for those with a busy schedule. Vibrant and strong coloured flowers such as dahlia, echinacea and rudbeckia are springing up in more gardens this summer to give a powerful look. Impatiens New Guinea are fluorescent, even when growing in the shade, and are a great replacement for Busy Lizzies. The classic rose is featuring again in garden trends, especially fragrant, repeat flowering climbers and ramblers. Haskins Garden Centres is currently hosting a Rose Festival until Thursday July 28, to showcase the vast amount of colours, varieties and versatility of roses. Downsized, compact plant varieties are on the up as more and more of our gardens are getting smaller. Smaller varieties of trees, especially fruit trees on dwarfing root stocks and low growing shrubs are ideal for smaller gardens as they help keep the space in proportion. Edible plants and berries are continuing to grow in popularity as they can be easily planted in pots or baskets and can tolerate cold winters. Blueberries, and unusual salad leaves such as Japanese Mizune or Red-veined Sorrel also grow year after year. The naturalistic cottage garden is back on trend thanks to its low care requirement and the bright colours attract beneficial insects. Stewart Garden, the gardening division of UK manufacturer, Stewart, is returning to Glee in 2015. Coinciding with Stewart’s 70th Anniversary year, Glee 2015 will see the company launch several new products and display many of its most popular existing ranges. Stewart Garden manufactures its products from quality plastic at its state of the art factory in Banbury. These include grow your own products, pots, watering equipment, propagators and garden accessories. Now in its third year in Banbury, Stewart Garden has consolidated its position as the market leader in grow your own and contemporary lifestyle garden products. Not content to rest on its laurels, the business continues to invest in expanding its manufacturing capacity. As a result, Stewart Garden has built inventories to unprecedented levels as it looks to deliver excellent levels of availability and customer service for the coming season. Stewart Garden’s grow your own products, pots, watering equipment, propagators and garden accessories are available in over 1,600 outlets across the UK and Eire. These include DIY outlets such as Homebase and Wilkinsons and garden centres such as Dobbies and Klondyke/Strikes, Wyevale and over 600 independent garden centres. Glee 2015 will host over 500 UK and international wholesale garden suppliers. The show takes place at the NEC, Birmingham from 14-16 September. For more information, visit www.stewart-garden.co.uk. Listen to Gardeners Question time on the iplayer. – this episode was recorded in Eccles on the 7th April and brodcast on Easter Sunday. I was at the college for the recording. It was great fun! They ask more questions than make it to the final cut. It was really good fun and I recommend you try and get to one if they come and record near you. When you go in you get given a piece of paper to fill in your question on. You hand this to one of the crew and then they decide which ones to ask. The people asking the questions were asked to go to the front row so the sound man could get to them easily. The producer comes in first and tells you about the show and then disappears into the radio van outside. A sound engineer sits at his desk in the corner and the presenter has headphones on so he can hear the producer. The garden experts sit at a table and answer the questions. They don’t all answer every question. It was interesting seeing them scribble notes. Gardeners Question Time is a fantastic institution that’s entertaining and educational as well as really interesting. Local gardeners asking questions about real problems, and there’s always some humour! I will be going again and next time I might pluck up courage to ask a question! Yes you read that right, MRI scans of fruit and vegetables. Don’t read this list before going and looking. You will guess some just by looking.